The Rangers have the best pitcher on the mound for three of the final four days, with only Friday’s starter Alexi Ogando (ranked 122th) being the weaker pitcher than the Indians or Rays will have on the mound. 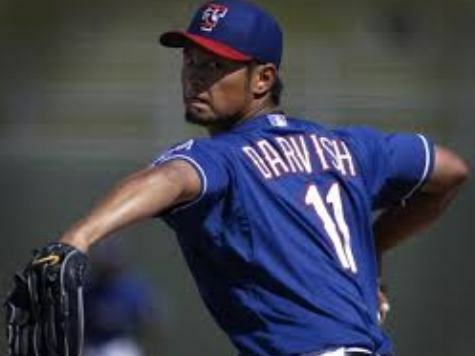 The Rangers need to make up either two games against the Rays or one game against the Indians or their season ends Sunday, so it is very likely Darvish will need to throw Sunday to give them their best chance to continue the season. If the Indians have clinched by Sunday, they would almost certainly save Jimenez for the Wildcard game to match up against the Rays Price. The other option the Indians could have is a return of Justin Masterson, who was ranked in the top 50 until an injury three weeks ago, and just returned Wednesday to throw an inning of relief during which he struck out two. In a three-way tie, the Indians and Major League Baseball are the big winners. Because Cleveland is 5-1 against the Rays, the would win the tie-breaker in a three-way, meaning they would host Tampa Bay in a Monday game that would put the winner into Wednesday’s Wildcard game, while even if they lost they would get to travel to Texas for a second shot at making the Wildcard game. The scenario of tie-breaking games Monday and Tuesday followed by the actual Wildcard game Wednesday would in essence create three wildcard teams.